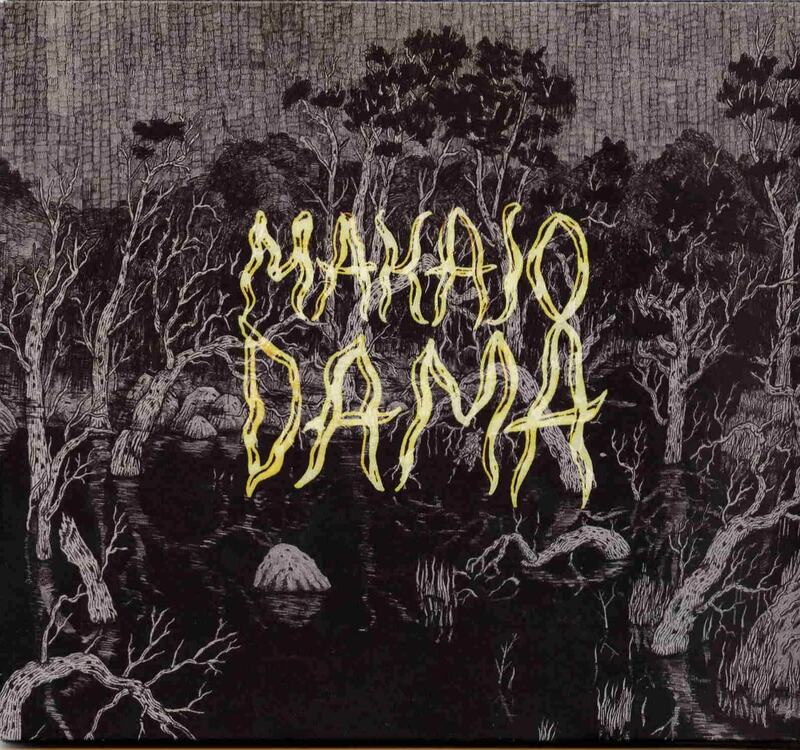 Makalodama is a new band from Stockholm Sweden formed by guitarist Mathias Danielsson formally from Gösta Berlings Saga. Mathias plays the guitar, bass, organ, pedal steel and is accompanied by Karin on cello, Johan on violin’s, Mathias on drums and a slew of guests on flutes, bassoon, tenor sax, tuba, sitar, barimbao and other instruments. This instrumental music CD took three years to make and is quite fantastic and will remind people of how great records were produced in the 70’s by bands like Henry Cow, Faust, Capt. Beefheart, and Third Ear Band. This is experimental instrumental progressive music of the highest standard. The opening 10 minute track is quite amazing and gives you a feel for the rest of the record in a sense. It also is the most like his former band, Gösta Berlings Saga in its more hard rocking nature at the end after the beautiful violin and cello interlude. Buddha and the Camel is a beautiful track with nice acoustic guitars and fantastic cello and violin. The track takes you on a journey out into the forest and just as you think the track is ending the electric guitar kicks in with a beautiful line followed by flute. Wolof is a short track with an interesting mix of acoustic guitar, hand drums, violin and bass. Really cool hypnotic element to this track. Amazing stuff. The Train of Thought, is a slow building and dramatic track with some repeated lines that the band plays over and uses as tools to go to different places. There is also some very nice and subtle pedal steel on this one. The Ayurvedic Soap, reminds me of Frank Zappa’s classical stuff. Vallingby Revisited is a short 3 minute track and features some great bass and saxophone. The Girls at the Marches starts slowly with a synth drone and guitar and simple drum before the violin slowly comes into the picture. I just love the guitar on this track. The Autumn Suite ends the CD and will remind people of Universe Zero. Amazing CD.